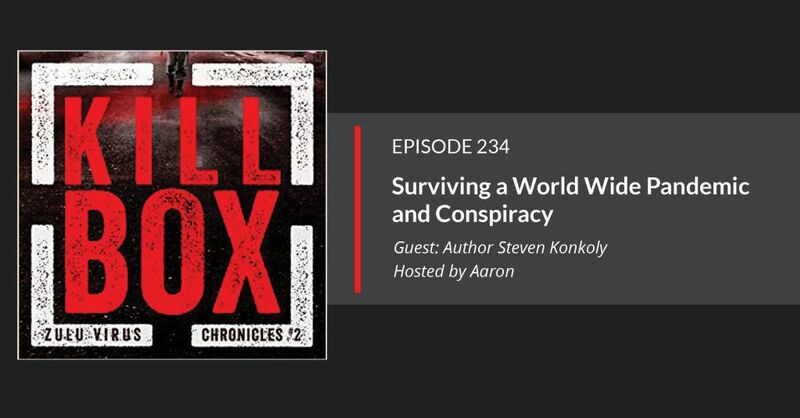 Best-selling author Steven Konkoly joins us. We discuss how he crafts his prepper fiction books just for you. And we learn about his latest book: KILL BOX: A Post-Apocalyptic Pandemic Thriller. Pandemics don’t get enough love in the prepper fiction niche. Often, we focus on EMPs and terrorist attacks. EPMs, like Zombies, are fun thought experiment: How would people survive in a total grid scenario. But when it comes to the most likely major disaster, pandemics are a ticking time bomb. Many say we are long overdue for a pandemic, in fact. And here’s where Konkoly takes to ball and runs with it. What if we took the idea of a pandemic and brought it into the modern world were man’s hands meddle with things. Do we see zombies? Who writes these kinds of terrifying nightmares of prepper fiction? We get to know the man behind the words in this episode with author Steven Konkoly.